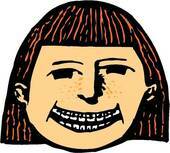 I was talking to one of my students about the new braces she was sporting, which she seemed uncomfortable to have. Her mom is a dentist’s assistant so the conversation further went on about how, according to this child, getting your wisdom teeth pulled does not hurt. Umm, come again? ?